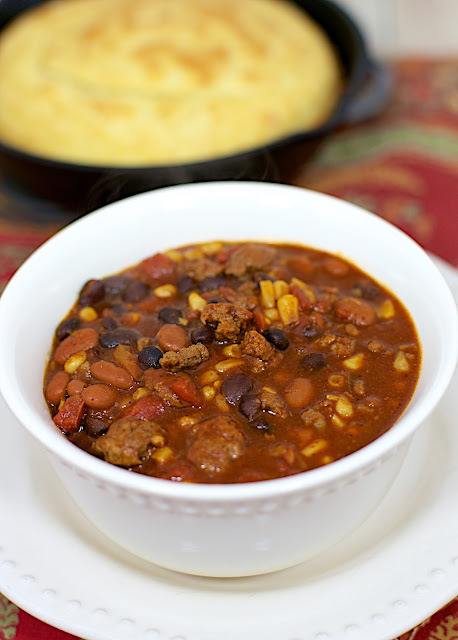 Slow Cooker Taco Chili - beef, taco seasoning, tomatoes, corn and black beans - serve with cornbread for a quick and delicious meal! 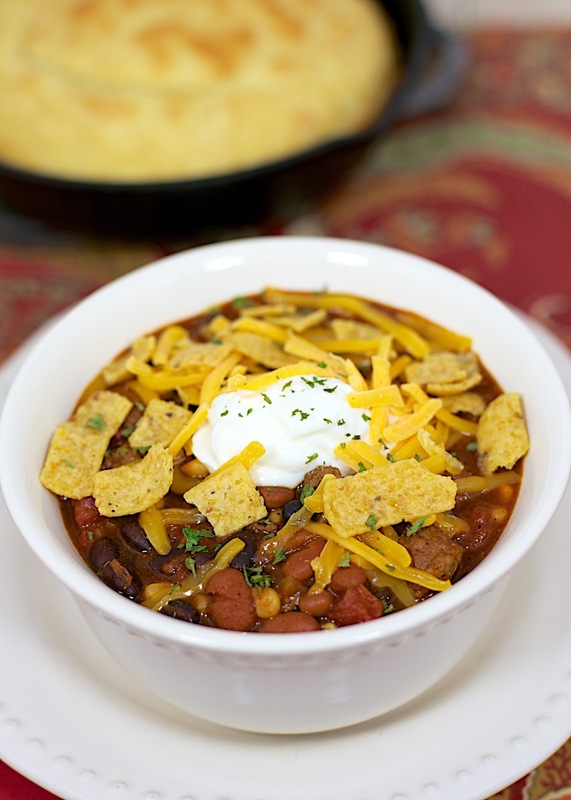 Taco and Chili combine for a easy weeknight meal! Great for potluck and tailgating too! Brown beef/turkey in a large skillet for 5-7 minutes. Drain fat and transfer meat to crockpot. Stir in remaining ingredients. Cover and cook on low for 8 hours. Serve hot over a bed of Frito's and top with sour cream and cheese. Great looking bowl of chili Steph. Surely does look good. I often wonder about crock pot size. Is it very important? I guess most common is 5 quart. Should whatever is used just be a certain percentage filled? Thank you. I have a 6-qt slow cooker. This recipe will work fine in any size slow cooker. This will be my second time making this in a month. Sooo good! !